Air purifiers, masks and respirators have been flying off the shelves since the capital region has come under a thick layer of smog. Since Monday, sale of air purifiers has doubled. When air quality worsened on Tuesday, marketers saw a 250 per cent jump in sales. 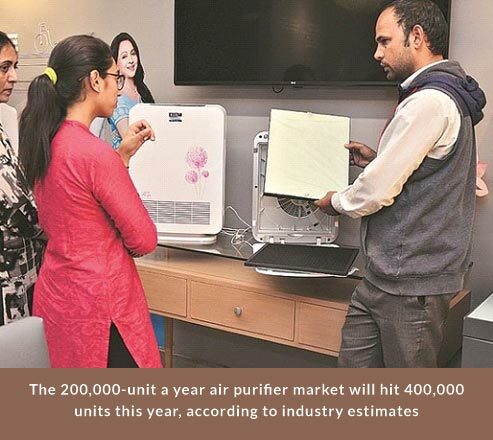 To cash in the growing demand for air-purifying systems, the firm had recently ventured into specialised categories, apart from car and room air-purifiers. Sudhir Pillai, a general manager at Honeywell Homes and Building Technologies, said: “Over the last two days, we have seen a more-than-fivefold spike in sales and 8-10-fold increase in enquires at our customer care centres. We are already selling aggressively through both online platforms as well as large and small-format retail stores.” Many shops ran out of stock of face masks and respirators. Jai Dhar Gupta, founder of Nirvana India, a seller of designer masks, said supply constraints were a concern as demand was seasonal. 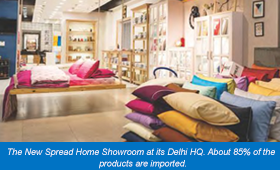 Home Fashion magazine had a detailed talk with Mr. Mohit Modi, Managing Director, Spread Home Products Pvt. 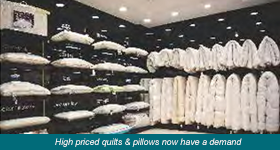 Ltd., who is a pioneer in genuine imports, marketing and distribution of well-known international brands of home textiles and home decor in India now for over 15 years. Purpose was to assess whether demonetisation of Rs. 500 and 1,000 notes by Government of India will have a cascading effect on imports of home textiles and home decorproducts in general and on his own business in particular. “Irrespective of demonetisation, in India, you must bring a structural change in your business every 2-3 years if you have to survive. This is because it is dynamic economy and a rapidly evolving market, where consumer profile and preferences as well as competitive scenario keep changing. Besides, the Government policies to keep changing, which can impact business positively or adversely from time to time. Spread Home itself experienced significant impact. For first three days after 8th November, there was absolutely no business. Then the situation started settling down. Still, hard goods sales dropped by 70-80% whereas home textiles lost 25% of the normal sales. Some stores preponed their end of season sale to second week November which generally starts in January or end December. This brought little improvement in sales, but only in case of Large Format Stores (LFS). Stand alone furnishing stores are very badly hit and some of them are still in that zone. They had already lost bed & bath products sales significantly to LFS on account of superior visual merchandising and services as well as to online retailers. Online sales are up, as people buying online were already using plastic money. Young, modern consumers in any case never carried cash. Many offline buyers went online for shopping to avoid additional cash spending beyond shopping, on going out. LFS are likely to return to normal sales figures by January end. “90% of the importers in our business used to survive on undervaluation and havala payments. This havala or illegal transfer of money has completely stopped now because exchange rate of a dollar in grey market went up by 30-40%, making illegal transfer meaningless. Therefore, an importer might as well pay import duty on full value instead of making payment through havala and get on wrong side of the law,” says Mohit Modi. But through legal route, such importers, who were purely surviving on low prices with no product concept, market understanding or brand value, are finding it difficult to compete. Products become expensive when they have to pay proper import duty and VAT. Such unscrupulous importers have been doing that business for 20-30 years and will now find it difficult to switch over to a fair, legal business. We have already seen some exits. It is common knowledge that Karol Baugh did a mind blowing business with old currency for afew days. And nowthey arefacing bigproblem. “A quilt worth Rs. 5000, for which we could not sell more than 200 pieces in the entire year, has clocked a sale of 1,000 pcs. in last 15 days post demonetisation!” says Mohit Modi. This is the miracle of demonetisation, making fair players like Spread competitive in the market. Importers who were selling similar quilt for Rs. 3000 were forced to increase their prices to realistic levels. In such given situation a consumer would anytime prefer buying abrand over unbranded products. “So we have benefitted from demonetisation!” says Modi. If the business of import is likely to become fair, will more entrepreneurs enter the fray? “No not at all,” says Mohit Modi and explains, “India’s major import scenario and the whole system were based on undervaluation. Cost calculation was done on a different level all together. Business can be done once you have good network, good sales policy and invest in infrastructure. If you do that, you have to strive hard tosurvive, compete and stay inbusiness profitably, like any other competitive business. So the incentive of making quick and easy money doesn’t exist any more!” Then how does Mohit Modi see Indian import scenario evolving? Like he said, he doesn’t see many new organized importers entering the field, except those with along term commitment. So can we say that Indian market will now open t0 established international brands and supplies wish to do genuine business? Who wish t0 develop India as a market? With home products consumption growing between 20-30%, this wlll certainly happen. India offers great opportunity to brands across the globe. Spread Home itself has to come up with a new business strategy every 2 years to keep pace with these changes. Consumers in a high growth economy like India wish to experience new shopping avenues frequently. With growing cities, people are getting exposed to fashion and newer lifestyle trends. People aspire to bring a change in their lifestyle unlike European countries where Spread Home itself has to come up with a new business strategy every 2 years to keep pace with these changes. Consumers in a high growth economy like India wish to experience new shopping avenues frequently. With growing cities, people are getting exposed to fashion and newer lifestyle trends. People aspire to bring a change in their lifestyle unlike European countries where people are saturated with experiences and are now living the best of lifestyles. China adapts to these changes faster than India. This is because India is a multi-cultural society while China is a uni-cultural society, where acceptance of change gets adapted faster. China as economy is more stable. India has witnessed many factors during the last 6-8 months. For example demonetisation which stalled business activity in India, has impacted imports and also adversely affected retail sales. This impacted the entire backward chain. But in today’s global market environment which is highly driven by technology, cost and frequent change of fashion and lifestyle, where does the future of handmade carpet industry stand? The industry is here to stay and prosper, if we are to conclude from India’s own export statistics and the vision the industry holds for itself as a dominant global market player. Spread has been growing at 25% year on year. Inthecurrent FY, the growth has been 20% sofar. Spread is present in about 400 stores (including all Shoppers Stop) across the country in around 100 locations. In addition, about 350 MBOs stock Spread products. Per stores sales on an average are growing by about 25% per annum. Overall, thegrowth is good. “Import content, has come down from 100% to 85% for Spread product range. This has reduced a little further as the brand has started sourcing some more products domestically. But our experience with domestic sourcing has not been very pleasant in terms of quality and consistency and we may have to go back to imports. Today, the markets are very competitive and import seems inevitable, as our brand image has to be protected. In any case, prices are very competitive even in import. Share of textiles in our business is still 90%. Hard goods business is very promising, interesting and creative business but has to grow further. Mr. Modi is trying to find more spacefor these products in stores across India. We are able to reduce competition in b import by constantly moving into more and more speciality fabrics and products that are more premium, more luxury. Those who are focussing on mass market and cheaper products are finding the competition tough. New players in import have to either enter the market in aclean way or will find the going and competition tough in India. Impact on Import business “90% of the importers in our business used to survive on undervaluation and havala payments. This havala or illegal transfer of money has completely stopped now because exchange rate of a dollar in grey market went up by 30-40%, making illegal transfer meaningless. Therefore, an importer might as well pay import duty on full value instead of making payment through havala and get on wrong side of the law,” says Mohit Modi. But through legal route, such importers, who were purely surviving on low prices with no product concept, market understanding or brand value, are finding it difficult to compete. Products become expensive when they have to pay proper import duty and VAT. Such unscrupulous importers have been doing that business for 20-30 years and will now find it difficult to switch over to a fair, legal business. We have already seen some exits. It is common knowledge that Karol Baugh did a mind blowing business with old currency for a few days. And now they are facing big problem. “A quilt worth Rs. 5000, for which we could not sell more than 200 pieces in the entire year, has clocked a sale of 1,000 pcs. in last 15 days post demonetisation!” says Mohit Modi. This is the miracle of demonetisation, making fair players like Spread competitive in the market. Importers who were selling similar quilt for Rs. 3000 were forced to increase their prices to realistic levels. In such given situation a consumer would anytime prefer buying a brand over unbranded products. Then how does Mohit Modi see Indian import scenario evolving? Like he said, he doesn’t see many new organized importers entering the field, except those with a long term commitment. So can we say that Indian market will now open to established international brands and supplies wish to do genuine business? Who wish to develop India as a market? With home products consumption growing between 20-30%, this will certainly happen. India offers great opportunity to brands across the globe. International players will now have options of working on three possible business models in India. One, to continue working with clandestine buyers with unstable future, second to work with professional importers like Spread Home and develop long term business with branding, distribution and retail support. Third option is to enter the market directly on their own by setting up their own marketing, distribution and warehousing set up, which will be a very very expensive proposition at the current volumes this country offers. 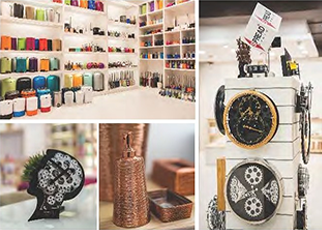 Across home category, there are very few brands in Indian market who present organised collections three times a year. For Indian brands it is a good opportunity over the next few months to consolidate their position as they will face less competition from cheap imports. Indian brands need to also learn to be more lean and competitive in terms of cost control and prices. At the same time, they need to promote their brands aggressive amongst retailers and consumers. If they succeed in doing so at this point, they will be a big winner. They must be able to deliver right product, at the right price and at the right time. Their answer cannot be in import. Retailers on the other hand need to change or recycle their merchandise every two months. Most of them need small volumes, specially with this condition of frequent merchandise change. Hence, not many Indian retailers are in a position to import directly as they cannot meet the MOQs. India’s consumer spending on luxury goods may take a beating as a fall out of demonetisation. The real super luxury buyers of India never shopped here and hence demonetisation has not affected that end of the market. It is the entry level luxury buyers and unscrupulous earners, politicians and bureaucrats, tax evading businessmen who will move from the market for now. I expect a lot of turbulence in the market until the Diwali of 2017. Our recent interactions with home industry players with focus on Indian market and exporters catering to rest of the world have been quite revealing. While most international players sounded confident and bullish about the future, domestic players expressed concern about sluggish and subdued Indian market conditions.This seems littlestrange considering that while the world markets are facing crisis like Brexit, India has been showing all signs of gaining strength on the world stage- economic and strategic. In my opinion, in a market with India’s profile,recessionary trends cannot be long lasting like in the Western developed countries. This is because the Indian economy is fundamentally robust with a healthy GDP growth of over 7.5% alongside a huge and young population with high propensity to spend and make new homes. 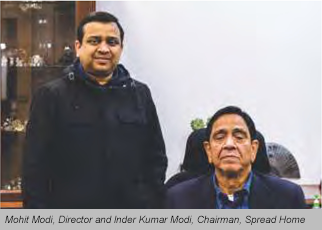 It has a huge, upwardly mobile and aspirational consumer base, which will provide dream run to any marketer for the next two decades,irrespective of small pockets of short term hiccups due to transitional changes in the country’s policy frame work to make India a more diversified economy. Over the last two years, high pressure by the Indian Government to go after black money and hoarders on one hand and to regulate the housing & construction sectors in India on the other, have certainly caused turmoil in the Indian housing pushing down demand and prices in the short run. This obviously affected the demand for home textiles, home décor and houseware products adversely as the market here still largely depends on new homes. But, these moves in my opinion are blessings in disguise as the regulatory systems for housing sector and healthier tax systems are likely to bring more stable and long term, sustainable demand by the actual consumers. Already, after six months of subdued activity on the retail, beginning with the last Diwali season in October 2015, the buying of home products by Indian consumers at retail level seems to be picking up once again since April this year. This of course is a good news for the home textiles,furnishing and home decor industry, which has been reeling under the pressure of lack of demand during this period. The current buoyancy is likely to only become stronger with the forecast of a good monsoon,which has already started proving right in different parts of India. While we must continue to make all efforts to become members of NSG and global missile clubs, which will certainly help, fact remains, that a good or poor monsoon still continues to affect our economy in the short run directly. Hence, going by current good rains, which is likely to be followed by a good agricultural output, we are going to see 2016-17 as a healthy year for business. Interestingly, even during the last six months,most brands and retailers with innovative products and business ideas have reported healthy growth in their sales. This is a trend which will become stronger and stronger in India as consumers here are far more discerning than any other emerging economies.